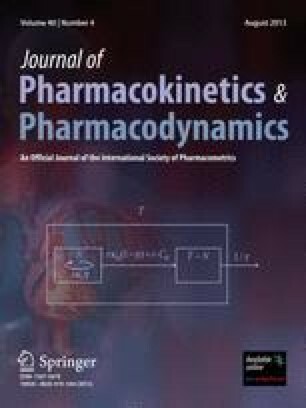 The seminonparametric (SNP) method, popular in the econometrics literature, is proposed for use in population pharmacokinetic analysis. For data that can be described by the nonlinear mixed effects model, the method produces smooth nonparametric estimates of the entire random effects density and simultaneous estimates of fixed effects by maximum likelihood. A graphical modelbuilding strategy based on the SNP method is described. The methods are illustrated by a population analysis of plasma levels in 136 patients undergoing oral quinidine therapy. This material is based upon work supported by the National Science Foundation and the North Carolina Agricultural Experiment Station.